K-Line SmartSide – K&K Industries Inc.
K-Line, our 22,000 sq. 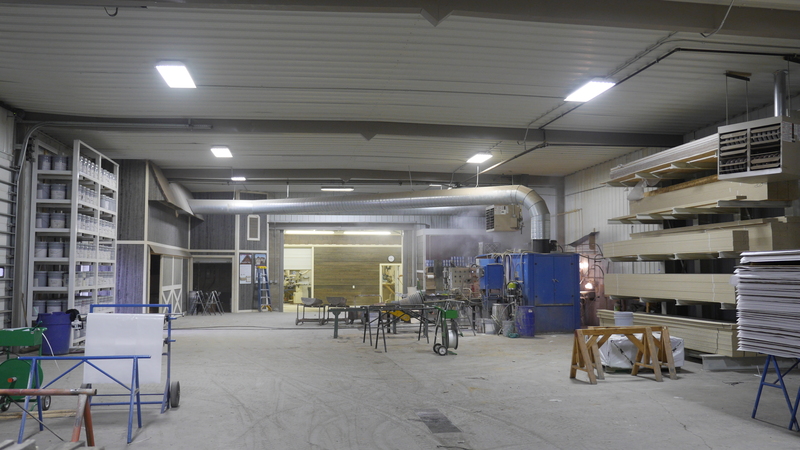 ft. prefinishing facility, specializes in paint coatings on LP SmartSide siding, trim, and accessories. Our main objectives are to offer a quality finish, competitive pricing, great lead times, and service that keeps you and your customer satisfied. The first step in the process involves deciding what you will need to supply your job with the adequate materials. Whether it be lap, panel, or shake siding, K-Line carries it all. We also have a wide variety of trims and soffits available. The product is carefully selected and counted before the prefinishing process begins. 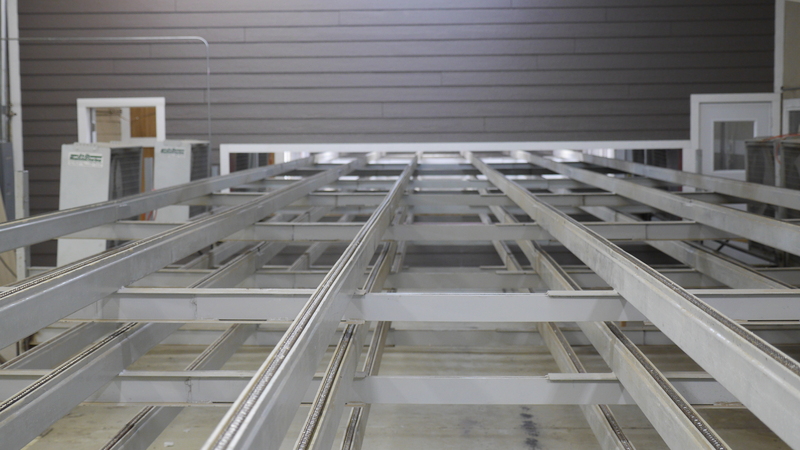 Once selected, the product is sent through one of our automated spray booths. After the coating is applied, the product travels through an oven to give the product a baked-on finish. The product then goes through a cool-down process, after which it is then taken off the line and returned to the automated spray booths for another coat. After the second coat is applied, the product again travels through the oven giving it a final, baked-on finish. After the second cooling process is complete, the product is then taken off the line, and each piece inspected for quality control. It is then foam slip-sheeted, and wrapped for delivery to your lumber yard or job site. K-Line proudly partners with Sherwin-Williams for superior coatings on all of our products, giving you an unlimited color selection and the satisfaction of having a 25-year limited warranty on our prefinished siding. 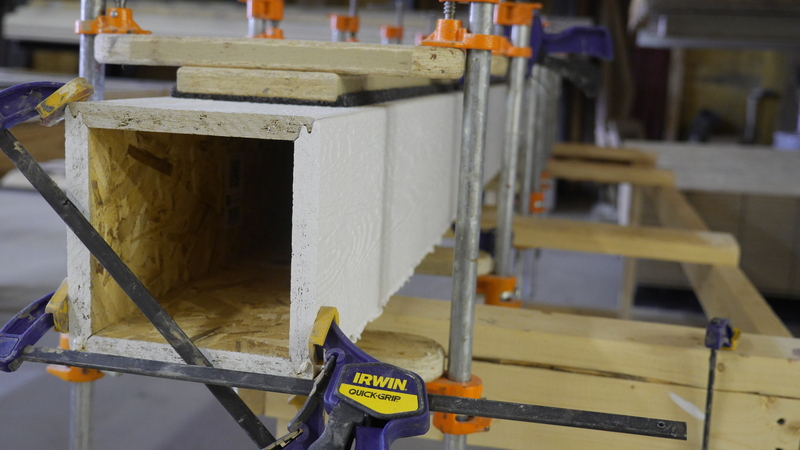 K-Line can also do custom work that includes columns, J-blocks,specially milled trim, and PVC starter board. We hope you consider K-Line for your next remodel or construction project. 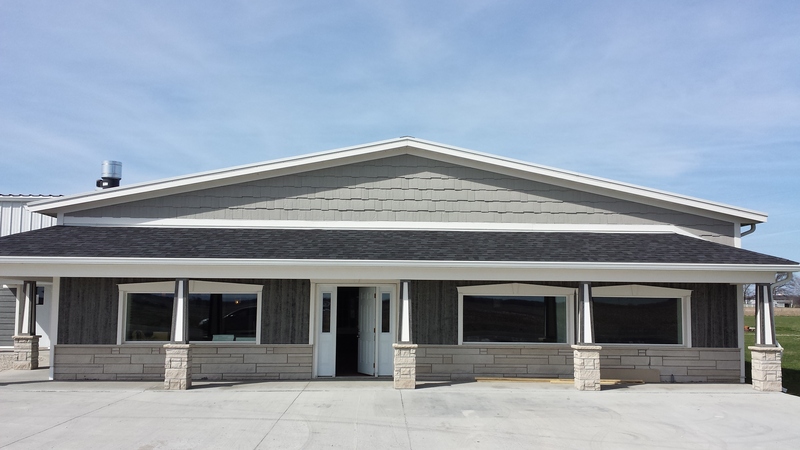 Visit the LP SmartSide website for information on siding, panels, shakes, trim, soffit, and more. Download the Sherwin-Williams ColorSnap app on your smartphone to help decide on a SW color.